Congratulations! You win 13 bonus points with this purchase! Pretty Eyes Young are daily coloured contact lenses from Marshal Intergroup Srl, which offers a wide range of colours for a glamorous look. These contact lenses have an optimal water content that makes the Pretty Eyes Young much more comfortable throughout the day. Thanks to their material, these lenses are easy to handle and suitable for novice users. The technology used in the production of these coloured contacts combines the colours into one shade, in order to create a more natural effect while maintaining an excellent look. 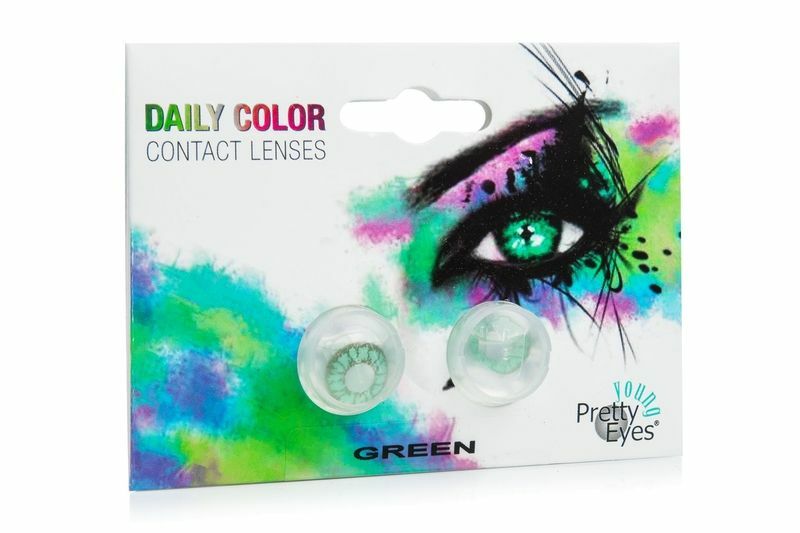 Coloured contact lenses have become a fashion accessory and a good choice for special occasions. However, the final results may be slightly different than what you see on the package as the result is influenced by the natural colour of the iris and the surrounding light conditions.